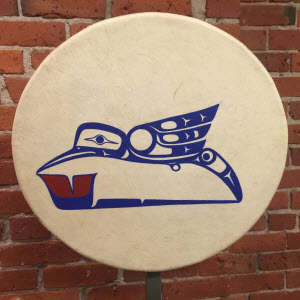 The Indigenous Community Legal Clinic (“Clinic”) in Vancouver’s Downtown Eastside (“DTES”) is both a legal clinic and a learning space for law students. The Clinic’s hummingbird logo is a symbol of the work that is undertaken by clinicians at the Clinic. Many Indigenous Peoples view the hummingbird as a communicator of knowledge enabling it to act as an advocate for all creation. I am Algonquin of the Timiskaming First Nation in Quebec. I am in the last semester of the Peter A. Allard School of Law’s Juris Doctorate program. 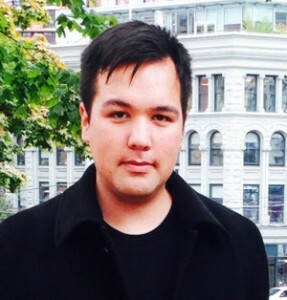 In my early years as a high school student growing up in the DTES, I observed many injustices stemming from the disheartened history of our Indigenous community. My desire for change towards these inequities led me to enroll. The Clinic enables law students such as myself to experience a strong foundation for law practice through an experiential and legal knowledge curriculum. Clinicians undergo three weeks of rigorous orientation where students meet lawyers and judges from diverse legal fields and practice areas. During my clinical term I developed skills pertaining to: file management, communication with other parties, working with a supervising lawyer, in depth legal research and writing, trial preparation, criminal and civil litigation, networking with a close knit cohort of clinicians, and creative solution orientated thinking. An example of the practical learning experiences and legal knowledge that I attained at the Clinic was my work with the Pemberton Circuit Court (“PCC”). Physically attending the PCC after speaking with unrepresented clientele on the court list was crucial to bringing to light the desperate need for legal services in this remote community. Since then the PCC has joined the Clinic’s curriculum. This results in both a greater access to justice for Indigenous Peoples living in remote communities and a comprehensive extension of the Clinic’s services. As a legal clinician I recognize the value of these practical legal skills and learning experiences. I also recognize that these skills pertain to the possibilities for changing the inequities that I observed in the DTES. However, on a grander scale I also recognize the value in the outstanding experiential knowledge the Clinic curriculum brought to my legal education. During my time at the Clinic this fusion led to valuable insights for understanding and negotiating my present legal education and future legal competencies. One insight that stands out in my mind is when I met provincial court Judge Gregory Rideout at the Clinic. Judge Rideout aptly described the importance of the role of the Charter of Rights and Freedoms (“Charter”) in the space of the DTES. I will approach my future legal studies and practice with the following motto in mind: “Like the hummingbird, first and foremost we must be communicators”. second, to provide legal education to law students in the Allard School of Law. We provide advice, assistance and representation to clients who self-identify as Indigenous and who cannot afford a lawyer, on topics ranging from: criminal matters, family law matters, human rights complaints, to Indian Status applications and hearings before certain administrative tribunals.